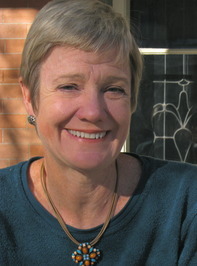 Barbara Wright grew up in North Carolina and has lived in France, Korea, and El Salvador. Her novels include Crow (Random House) Easy Money (Algonquin) and Plain Language (Touchstone/Simon & Schuster), which won a Spur Award from the Western Writers of America. She has worked as a fact checker for Esquire Magazine and as a screenwriter. She lives in Denver with her husband and plays tennis and jazz piano in her spare time. The Fairy Tale Fiction Of Anne Isabella Thackeray Ritchie: Selections From "Five Old Friends" And "Bluebeard's Keys And Other Stories"
We’d love your help. Let us know what’s wrong with this preview of The Fairy Tale Fiction Of Anne Isabella Thackeray Ritchie by Anne Isabella Thackeray Ritchie.
" Gentian wrote: "Barbara wrote: "Greetings. My name is Barbara Wright, and I am both a reader and writer of historical fiction. I didn't set out to wri Gentian wrote: "Barbara wrote: "Greetings. My name is Barbara Wright, and I am both a reader and writer of historical fiction. I didn't set out to write historical fiction, but it just happened that all my books..."
Thanks, Steven. I'll put that on my list for the next visit. ...more "
We’d love your help. Let us know what’s wrong with this preview of The Dog Stars by Peter Heller. We’d love your help. Let us know what’s wrong with this preview of Full Body Burden by Kristen Iversen. For readers who are looking for middle grade historical fiction such as the Dear America series.